Raw Cupcakes with QUIN BITE Blueberry - Quin Bite - A bite of Happiness! Mix in blender raw cashew (drained from the water, in which was soaked) with coconut oil and maple syrup. Mix till smooth and fluffy texture. If you love sweets, you can add extra maple syrup. Put the cream in a posh and fill in with an equal amount on each cupcake. You can leave the ready cupcakes in the refrigerator and add decoration in the time of serving. 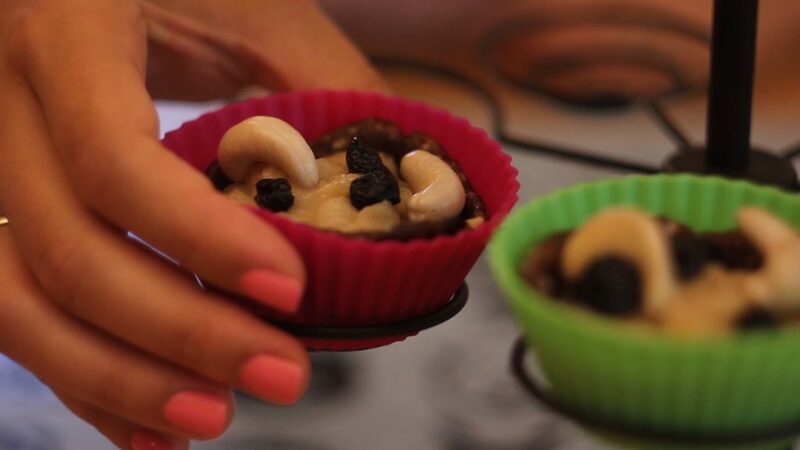 🙂 Put on some dried blueberries and cashew nuts on each cupcake for additional irresistible taste.